DSSS is the kind of story I like to see on Hackaday. Schoolboy neurotic dreams when I dreamt of sitting in my math class without any clothes. This potentially exposes a lot of information. “The first math trick is to multiply the signal by itself” > This is known as auto-correlation. 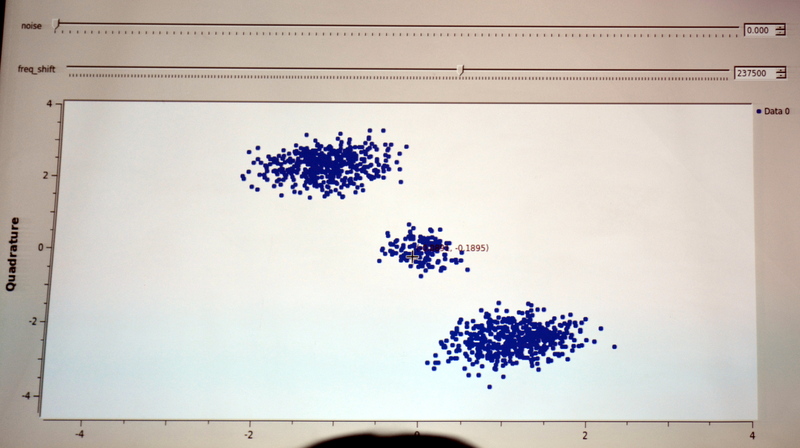 The sequences used in DSSS have good auto-correlation properties. This is why complimentary codes are used for this. Does anyone know if talks like these from DEF CON are published? they usually post slides with the video later on. They will be uploaded to their youtube channel a month or two after the convention. Thanks for visiting us to Wireless Village Mike! Come visit us again. I met Michael as his HackRF stand at HITB a couple years back, sound guy, He took interest in my own OSHW project and we traded kicad tips. Cool to see he’s killing it in the RF hacking field still. can’t wait to watch the video when DEFCON put it out. My solution would be to have a dynamic chip that changes for every single bit being broadcast. So instead of “1” being a static 11100010010 and “0” being a static 00011101101 use a 64 bit maximal length LFSR feedback polynomial and invert the bits if it is a zero being transmitted. It does mean that the location within the Linear-feedback shift register needs to be know to both the transmitter and receiver and their clocks need to be kept perfectly in sync. If there is a slightly drift in synchronization, provided there is enough processing power and RAM to store some historical and future codes in memory, at the receiver, it can re-sync from the transmitter. The the problem is then one of identifying a LFSR, which could be run through a hashing function to make it look even more like random noise. You could do away with the LFSR and use a shared key encrypted bit stream. Handy when one doesn’t have a high-powered chip doing the work. Since correlation in time is multiplication in frequency, you can take the FFTs of both the RX signal, and PN code, then multiply. The correlation peak is then at the PN code offset. What is DSSS and why is hacking it fascinating? I want to slurp in some new knowledge. I’ve heard about hiding in the noise floor in respects to transmitting data, Never knew it would only require simple maths to recover. A method of noise floor transmission and recovery like this added to a newer gen of WiFi or BTLE, I’d guess would help with power saving and/or useful for a slower transmitting speed when the portable PC goes just out of range of the transmitter. 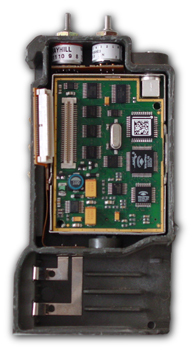 AN/PRC-343 is a good example of a DSSS radio. Cheap, super simple, low range, long talk time, reliable. cos^2(wt) + sin^2(wt) + 2.cos(wt).sin(wt), where the first two terms cos^2 + sin^2 is mathematically equal to 1. So the above becomes: 2.cos(wt).sin(wt). So this means we don’t expect to see any spikes associated with the pseudorandom sequence code rate when we square the incoming signal, right? oops… for the last equation, I should have typed: 1 + 2.cos(wt).sin(wt). I also omitted phase shift ‘phi’ in the incoming signal for simplicity.